When General Collin Hunt is ordered to take a much-needed holiday, he resigns himself to rest and recreation at his brother's country estate. But when the only woman he ever loved—and selflessly gave up—shows up as his sister-in-law's governess, his carefully ordered life is turned inside out. When Erienne Stone defied her family and fled her life of privilege, she never expected to be reunited with the man who'd abandoned her more than a decade before. But Lucy, Duchess of Claringdon, is a hard woman to say no to, even when Erienne's heart is in danger of breaking all over again. The perfect romantic read for a rainy Sunday afternoon. This is a lovely second chance romance made more enjoyable by the fact that it's a short novel and it's not dragged out unnecessarily with misunderstandings and crossed wires. Collin and Erienne have a long awaited chance at reconciling and they take it thanks to the match making machinations of Lucy. 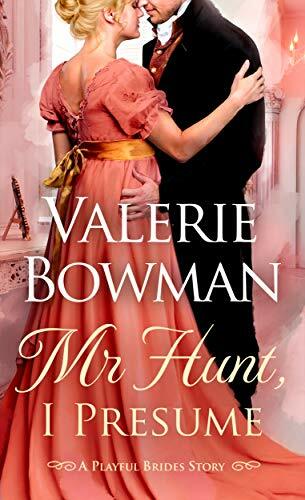 This was a quick romantic read and a lovely addition to a popular series. Book 11 'No Other Duke But You' will be published in April.